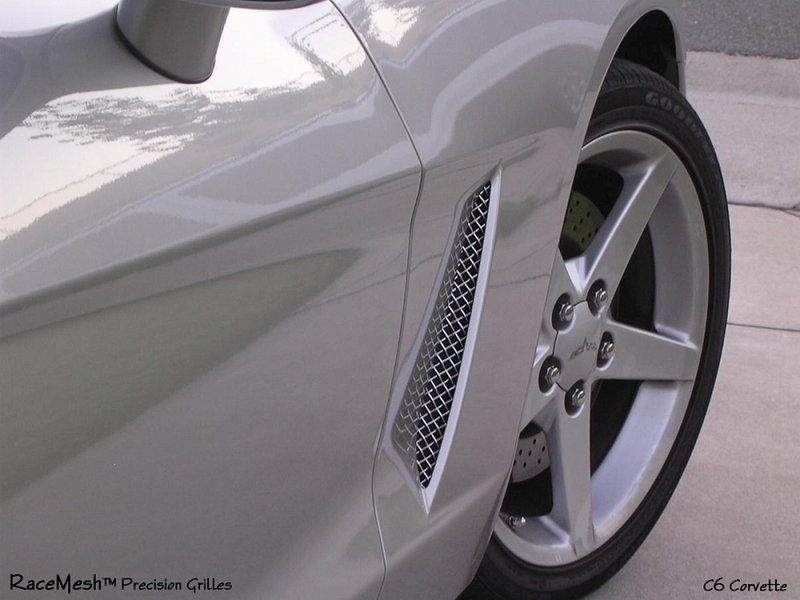 Get that admired, aggressive look with an authentic woven wire stainless steel "RaceMesh Grilles" for your C6 Corvette. Designed with premium Stainless Steel Wire Mesh Weave. Precision laser cut, and shaped to ensure a precise OEM fit and finish. Mounting hardware included with each "RaceMesh Grilles". Installation is moderate, with use of simple bonding materials (provided), and installs in approx. 90 minutes. "RaceMesh Grilles" also provides functionality, in that it protects your radiator and condenser from debris and damage. This product is made of a true wire mesh cloth weave, not stamped, expanded or welded like other less costly manufacturing processes. This processing method creates a stunning visual effect, while adding functionality. Each wire mesh grille is handmade, which ensures perfect fitments. 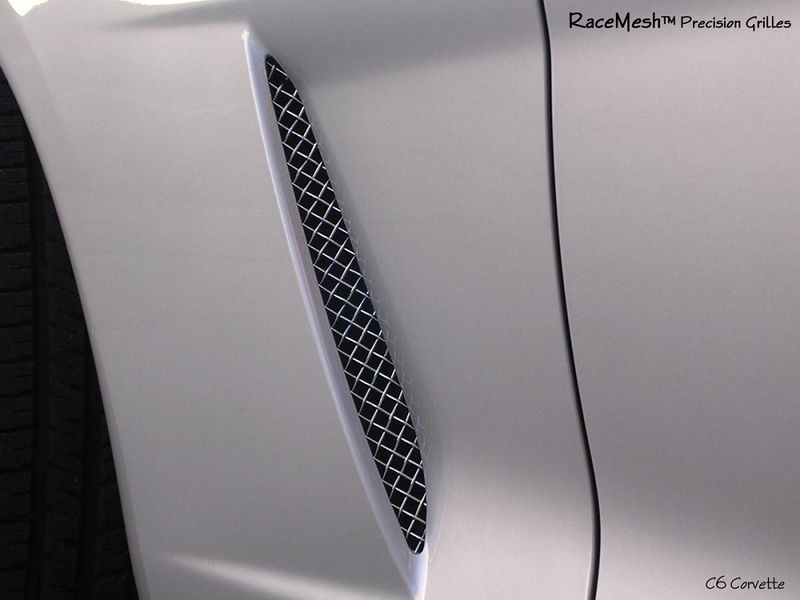 *Note: The "RaceMesh Grilles" products are custom handmade to order, right here in the US. Order's ship in approx. 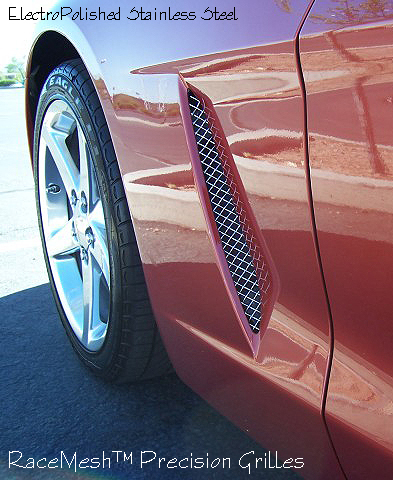 Give your 2005-2013 C6 Corvette a custom look with our RaceMesh side fender grille. Please allow 4 weeks from order date for manufacturing. Not for a Z06, ZR1 or Grand Sport. Q: how to install? from underneath? Q: Is the price for the fender grilles per pair or each?